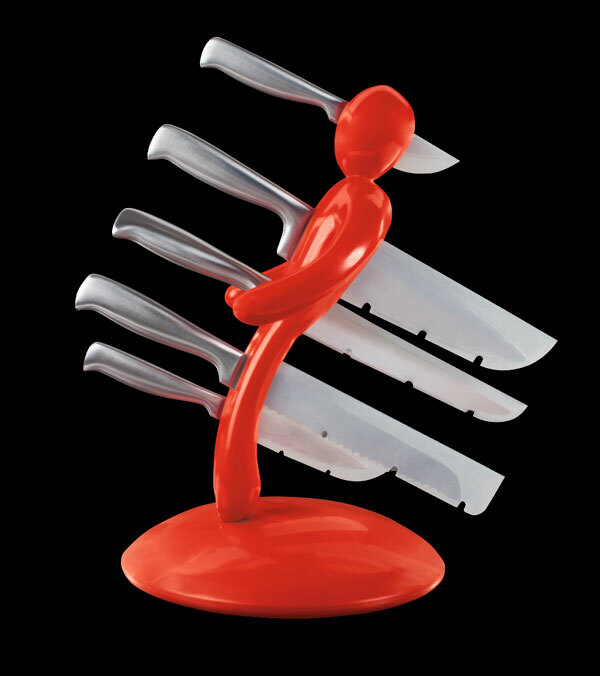 VuduKnives includes a 5-knife set: a bread knife, a kitchen knife, a meat knife, a universal knife and a peel knife, all built in a single piece of stainless steel. 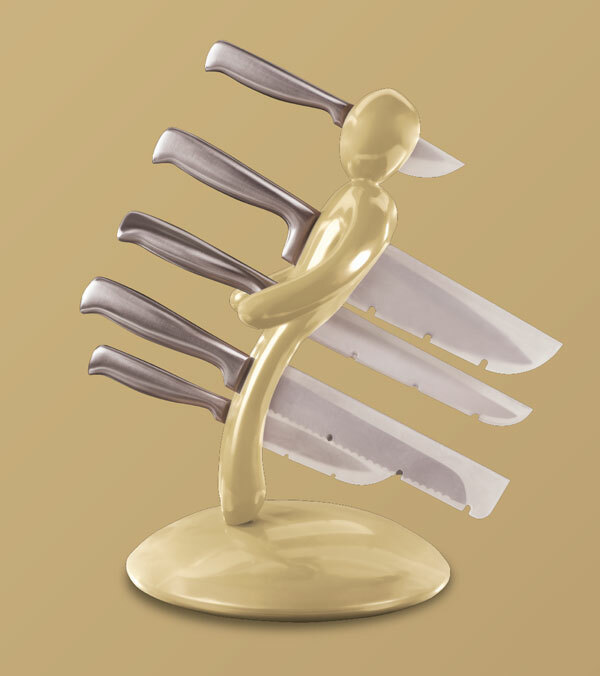 Get straight to your guest’s heart through the stomach. 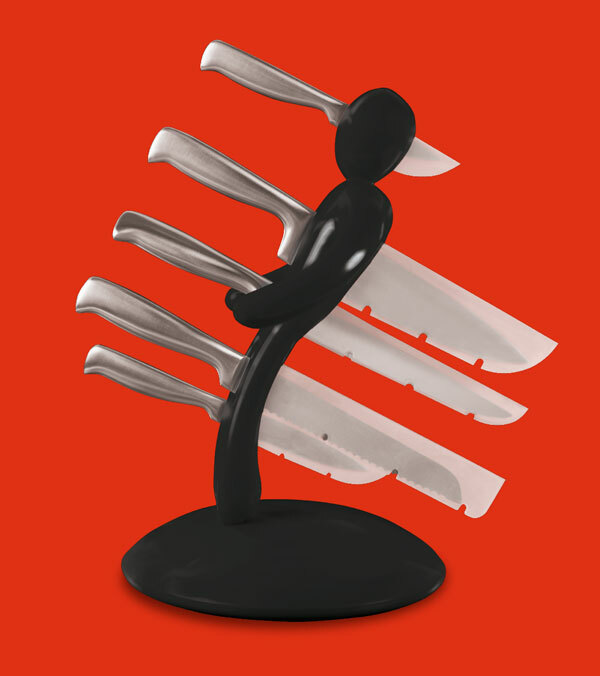 Cutting and peeling food will be so fast that you will be able to invest much more time in being creative with your recipes. 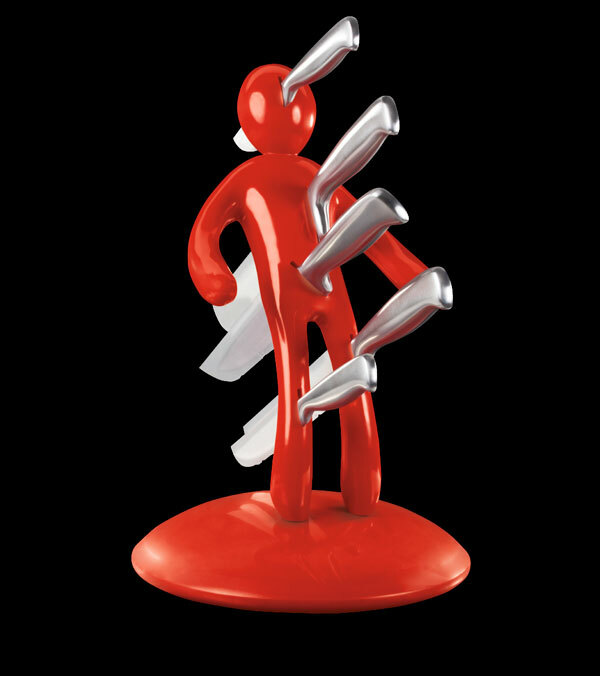 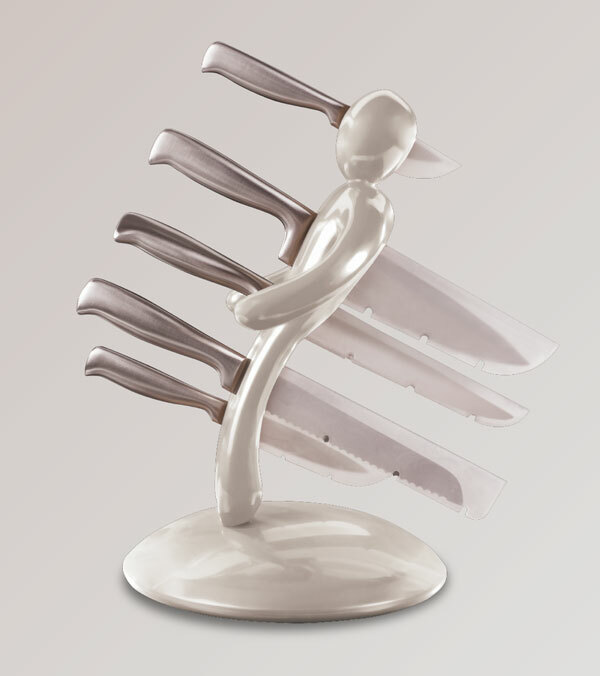 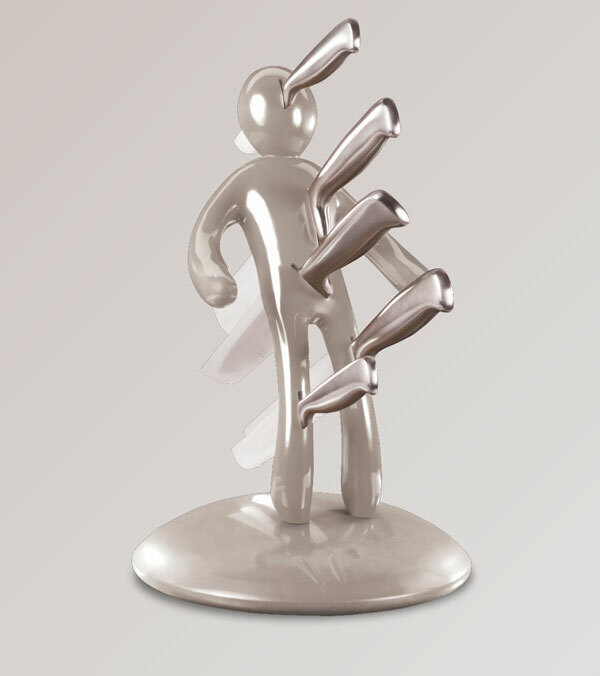 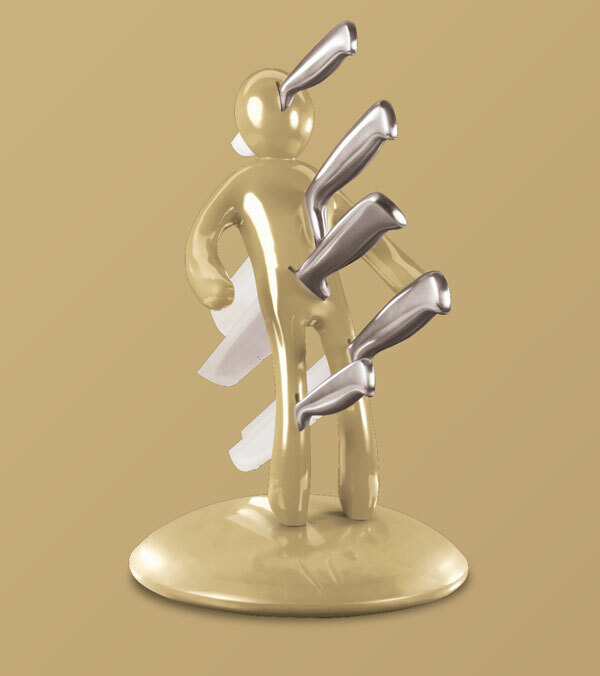 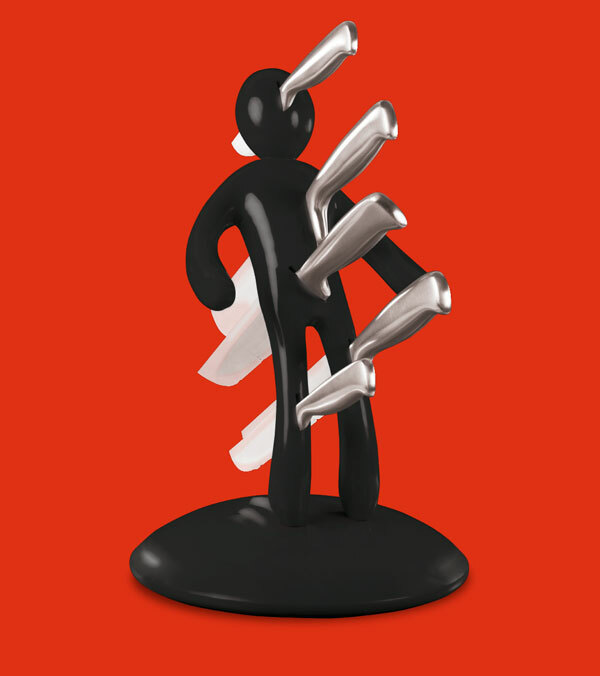 The poor voodoo doll in which you will have to stick the knives again and again includes covers to keep your knives protected from hits, humidity and dust, protecting you from accidental cuts at the same time. 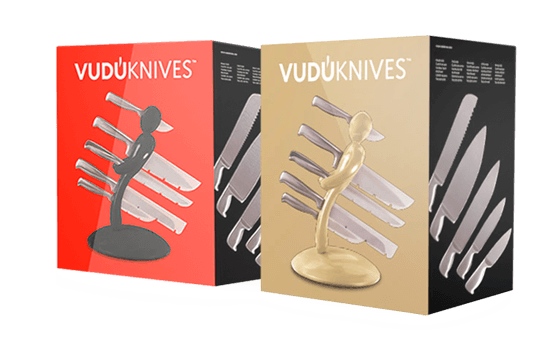 VuduKnives ™ is available in four colours, red, black, gold and silver, so that you can choose the one which fits best in your kitchen.